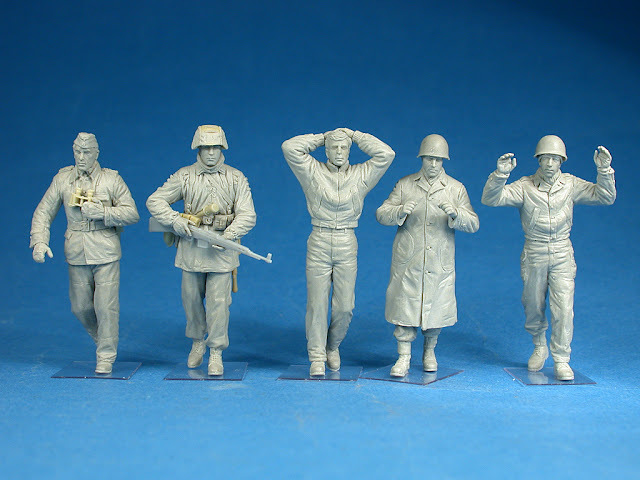 The Modelling News: No time to rest Miniart - there’s allied soldiers to capture! No time to rest Miniart - there’s allied soldiers to capture! 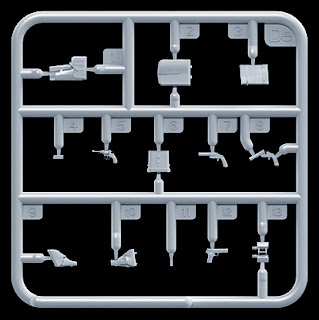 Miniart has just released images of the contents of two of the latest of their ever improving figure sets. 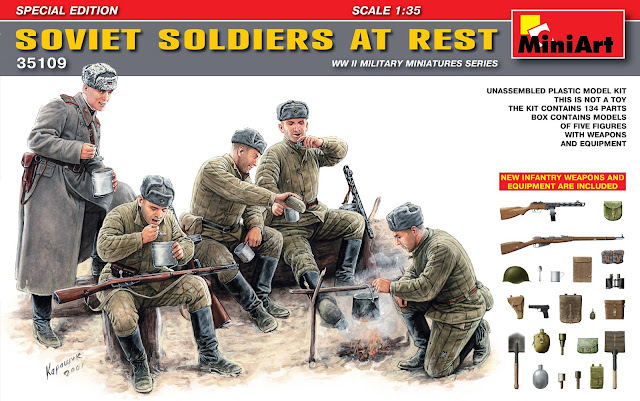 One with five Soviet soldiers having a well-earned rest whilst in the Ardennes the Germans have captured three GI’s! 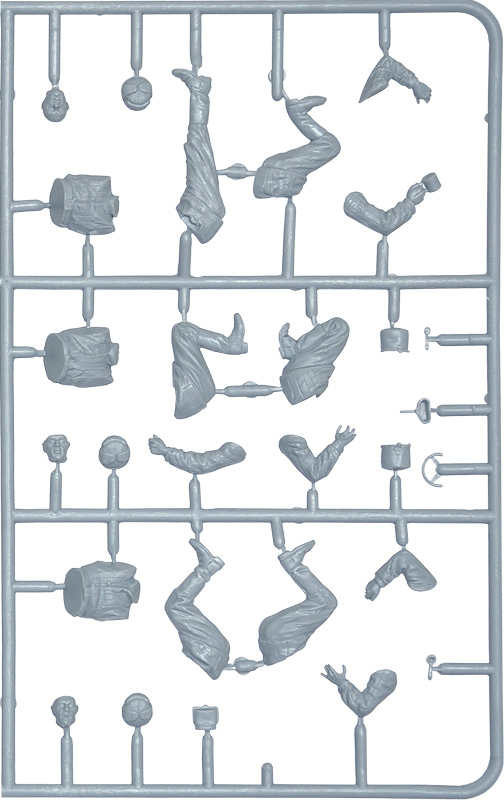 Read on for the good “Gen” on these figure sets. MiniArt’s latest items in progress. 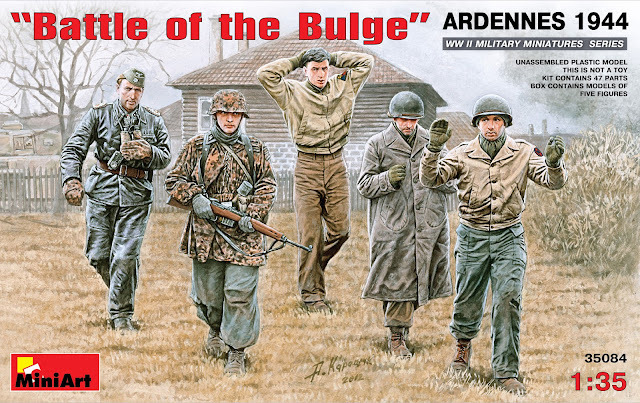 This kit shows two SS men and their captured prize of three US G.I’s in the cold dark Ardennes forest of 1944. 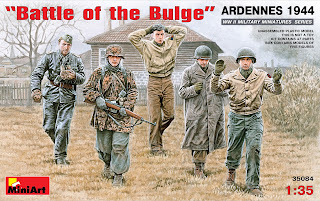 There is a German officer with his warm short jacket, binoculars and mittens with his subordinate who is guarding the GI’s with his semi auto rifle. I like their non-standard clothing and extra weapons they are carrying and the detail of their faces and badges. 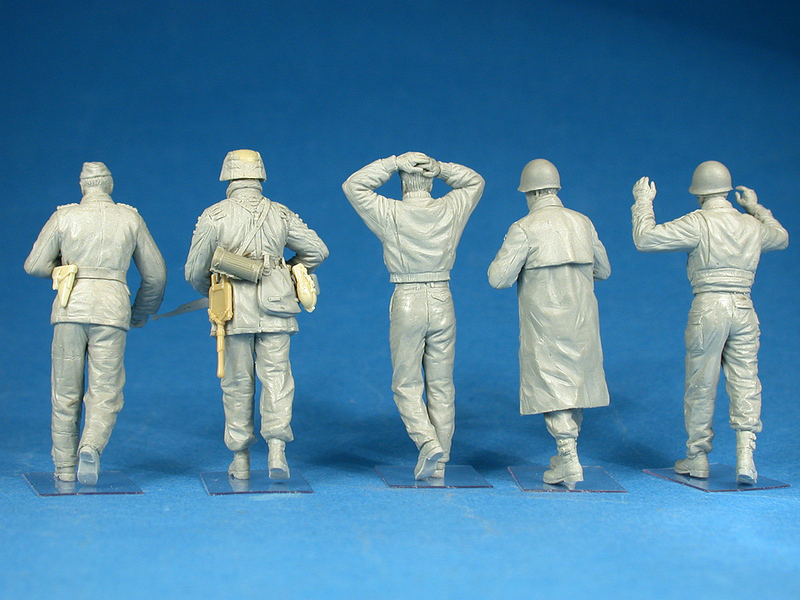 The G/I’s – two with M1 steel helmets and one with his bare head covered by his hands in a gesture of surrender. Hopefully these soldiers made it. Their clothing is very well sculpted especially the puffy overcoat which looks of a great quality. 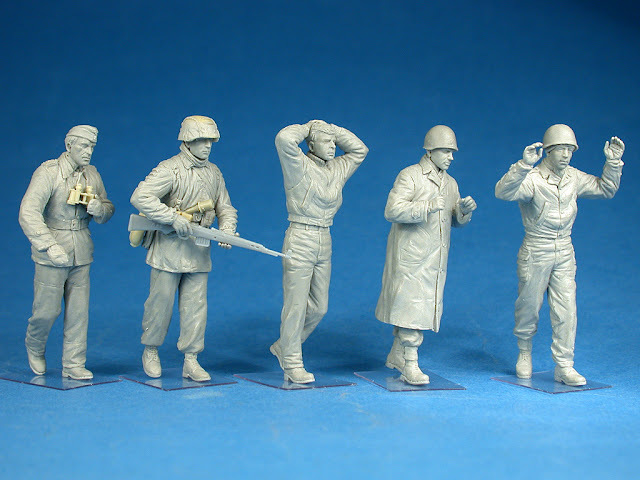 These soviet soldiers – rugged up are oblivious to the drama in the Ardennes – they have a full sprue of equipment to keep them occupied. 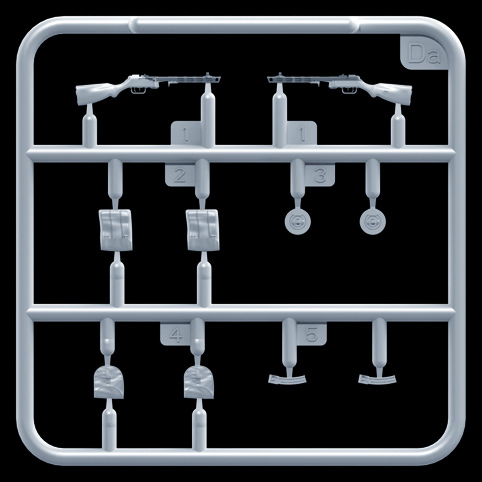 Not only their weapons like the Moisin Nagant rifle, TT38 pistol and PPSH40 sub machine gun. 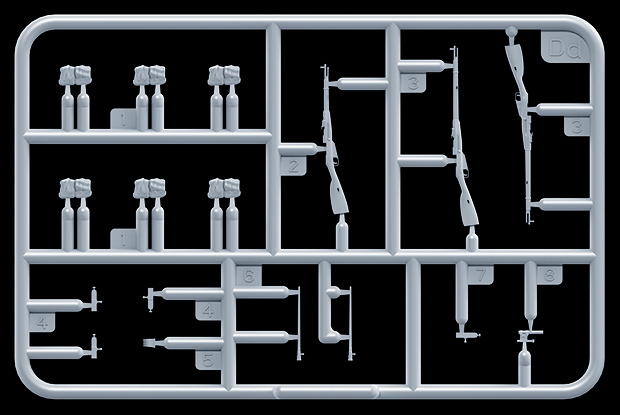 They also have packs, binocular cases, water flasks, ammo of all kind, grenades and even a spoon and cup in 35th scale! 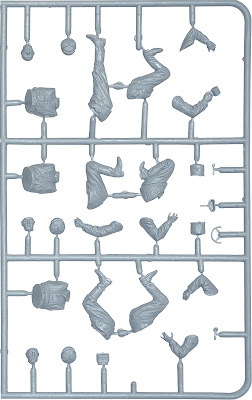 These good looking figure kits are listed as “in progress” so more on them when they arrive in our hands later – until then more on this and the rest of MiniArt’s kits can be found on their website.